Z is for Zzzz—the Big Sleep, or death of a character. Killing characters for fun and profit is sometimes part of a writer’s job. It’s not as easy as it sounds, however, especially when you’ve created one for whom you (and the readers) have developed a fondness. The death of a character can advance the plot or it can be secondary. In crime fiction and mystery, which is typically about murders (more dramatic), a death sets the plot in motion. We rarely know the victims or see little of them before they’re killed. But without their sacrifice, there is no story. We don’t usually feel for them except a passing sympathy for whatever plight caused their demises. It’s different when a writer kills off a beloved character. In Harry Potter and the Half-Blood Prince (I don’t really need to put a spoiler warning here, do I? 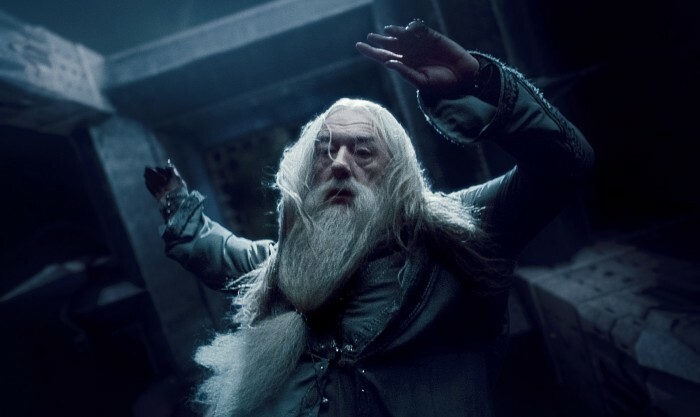 ), the shocking death of beloved Hogwarts headmaster and Potter mentor Albus Dumbledore caused a great deal of mourning. Yes, I bawled all over my hardback. Not ashamed. While this was a very upsetting thing, the story needed it in order to move forward. Harry had become too dependent on Dumbledore’s aid and comfort. He needed to step up and fulfill his destiny as the Chosen One and take charge of the mission to stop Voldemort. He’s grown tiresome (Nikki and Paolo on LOST) and adds nothing to the plot or character development. In this case, you might reconsider whether he belongs there at all. If you needed him for a purpose—he stole the elderly protagonist’s purse, thus setting her on a road to becoming a crime-fighting granny—fine. But make sure his death doesn’t compromise your other characters. If Granny’s moral code isn’t to kill but to capture, having her beat him to death with her cane is a non sequitur. It won’t ring true, and readers will notice. Before you decide to remove someone from your narrative, ask yourself the following questions. Do you need to kill a character? What do you hope to accomplish with this person’s death? If you’re killing someone just for the sake of doing it, then you’re probably wasting your time. Meaningless deaths that don’t affect the other characters in some way aren’t necessary and can piss off readers or viewers. Think about The Walking Dead. This show kills people right and left, but fan favorite Hershel’s brutal death at the hand of the Governor in the Season 4 episode “Too Far Gone” left everybody in a state of shock. 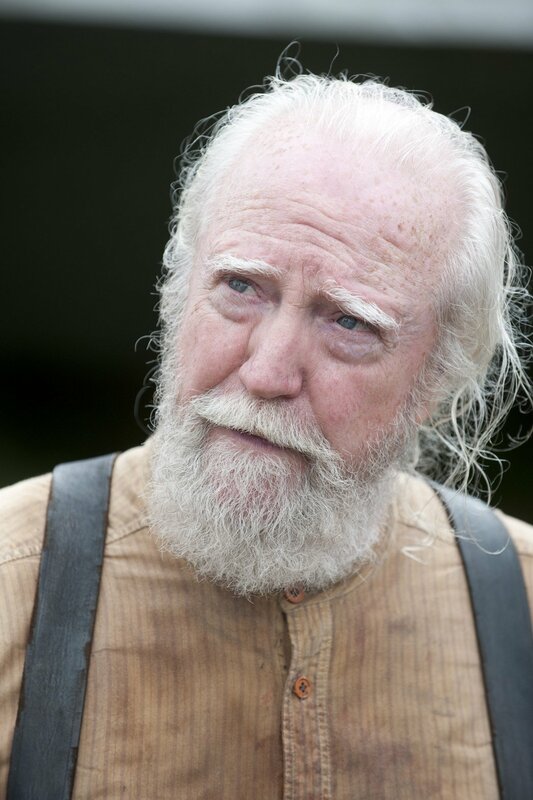 Hershel, we hardly knew ye. Well, we did, but that’s beside the point. Is it the right time for him to die? Harry Potter was able to step up after Dumbledore’s death because he’s gained enough strength through training and experiences both at Hogwarts and outside it to handle the situation. He grew up. In Deathly Hallows, the Harry we see has worked through his angst about being the Chosen One, and he’s able to accept the help of his friends, who leave school to go with him. He’s mature enough now to deal with it. Sometimes, you have to do the big, grand gesture, if for no other reason than this person would not go gentle into that good night. But a character’s death doesn’t have to be dramatic. A quiet exit can carry just as much (if not more) emotional impact. Joyce Summers’ death in Buffy the Vampire Slayer wasn’t a huge, Big Bad-caused train wreck. After recovering from a serious medical problem, she simply laid down on the sofa one day and slipped away (“The Body”). I triple dog dare you to watch Buffy find her mother without crying. You don’t have to show a death to make it tragic, either. In George Orwell’s Animal Farm, the faithful, hard-working horse Boxer collapses one day and is sold by Napoleon the pig so he can buy himself a drink. The scene where the injured horse is carried off in the knacker’s van, with Benjamin the donkey attempting a futile rescue, is heartbreaking. We don’t see Boxer die, but we know where he’s going, and we don’t want to know. Will you bring him back somehow? 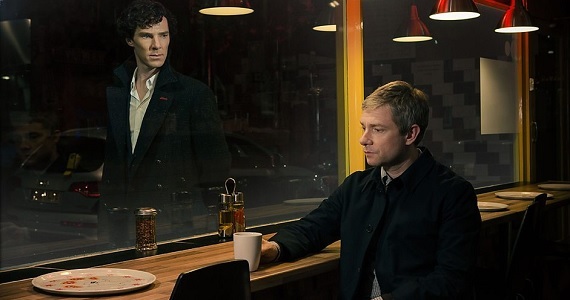 Sir Arthur Conan Doyle killed off Sherlock Holmes in The Final Problem, and readers of the magazine The Strand canceled their subscriptions en masse. He was so inundated with letters begging for his return that he resurrected Holmes in The Adventure of the Empty House. It should go without saying that you need to write the character’s comeback so it makes sense within your fictional world. Holmes had an elaborate ruse to explain his resurrection. In fantasy literature, writers use magic, potions, or other supernatural means to bring back characters. In my novel Tunerville, the city is infested with newly raised ghosts, the first of which becomes a comical secondary character. Regardless of how you do it, a character’s death is a profound moment for the other characters. Death brings change, and with it, your story will have to move in a new direction. Make it count; give your dying character the best death you can. This entry was posted in Blogging A-Z April Challenge 2014 and tagged character development, Harry Potter by A. Elizabeth West. Bookmark the permalink. There’s plenty to consider when an author kills off a character and you covered a lot of territory in your post. 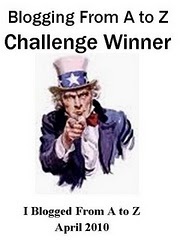 Congratulations on making it to Z. Thanks! I feel like this year’s challenge went well. I may wait a day before I do the reflection post. My brain is tired. Don’t know yet, but I’ll think of something, I’m sure!